Throwback Thursday: I'm pretty sure this photograph was taken in Pensacola, Florida (or maybe it's Destin). I remember this vacation well because as you can see, I'm learning to swim. I can still feel the chafing effect of the floaties on my skin - mixed with the chlorinated water. 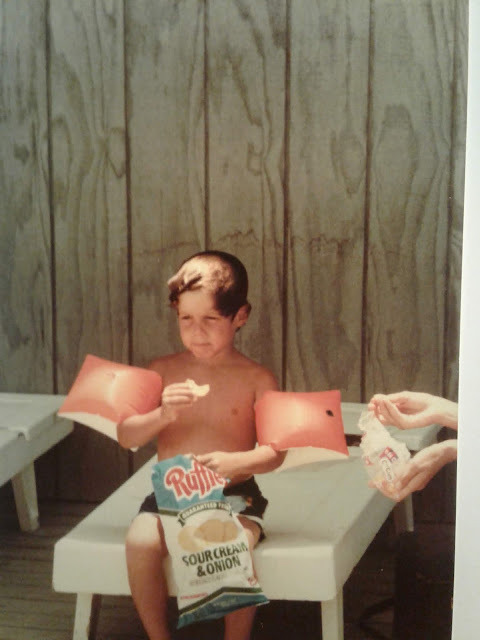 Also, that bag of Ruffles ® Sour Cream & Onion potato chips were all mine!